As more companies share E3 announcements, one thing we know for sure: this year’s E3 is all about games. We’ve seen plenty of games announced already, from indie projects to hundred-million-dollar AAA blockbusters. Sony revealed more of the beautiful and amazing The Last of Us: Part II and a sequel to the action role-playing game Nioh among other games. Although those two are still a ways off, there are plenty of other PlayStation E3 games you can pre-order on Amazon. If you’re an Amazon Prime member you can get a 20% discount for pre-ordering as well, even without knowing the official release date. The pre-order bonus only works on standard versions of the game, bringing the prices down to $47.99 from the normal $60. If you’re a My Best Buy member instead, slide over to Best Buy where you can get a $10 gift card with any pre-orders available. I don’t always recommend pre-ordering E3 video games, and that’s a sentiment shared with a lot of sites like Polygon, Wired, and Kotaku. Partially because many of these games are a year or two away from even being released and partially because what you’re seeing at E3 isn’t necessarily what the final product will even look like. There are a few other reasons, too, but if you’re really interested in some of these games there are definitely a few that can’t miss. With pre-ordering you’re guaranteed the price you pay, even if something changes between now and release, and of course you can cancel at any time. Some games just fall into that category of “too big to fail” because they’re genre-defining and made by huge companies. 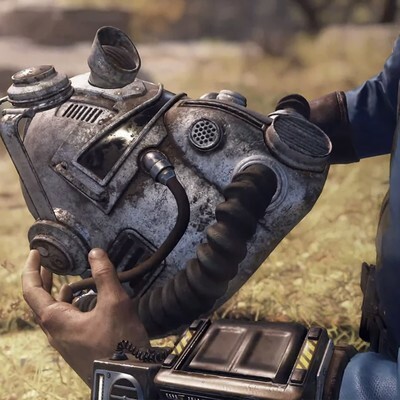 Fallout 76 (PC/PS4/Xbox) and Kingdom Hearts III (PS4/Xbox) are can’t miss options. If you’re interested in those IPs, you know the games are going to be worth playing. Plus, pre-ordering Fallout 76 gets you access to the multiplayer beta. Other games like the Resident Evil 2 remake and Assassin’s Creed Odyssey (PS4/Xbox) are known entities. They are games that you know and love from franchises you understand. Chances are if you are already into Resident Evil, you’ll play the new one when it releases, so you might as well save money now. Then there are a few games like Rage 2 (PC/PS4/Xbox) and Just Cause 4 (PS4/Xbox) where it doesn’t really matter if they’re bad or not because they’ll be a crap-ton of fun regardless. You need a Prime membership to take advantage of the pre-order bonus, but you can sign up for the free 30-day trial and use it if you want to. Check out all the other games you can pre-order right now. E3 continues throughout the week and Amazon will certainly add more as they are announced.